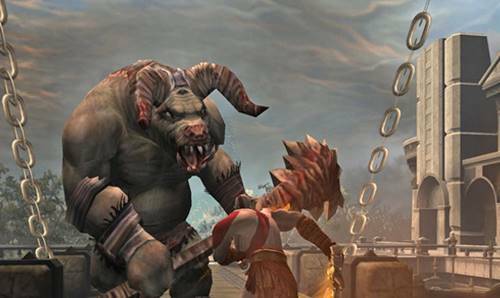 God of War 2 cheats – God of War 2 is an action-adventure games released by Sony Computer Entertainment on 2007 for PS2 consoles. This games developed by Santa Monica Studio and become second installment as a part of God of War series. In this articles, we will discuss about God of War 2 PS2 cheats along with its codes, secrets, guide and walkthrough to unlock new costumes, weapons and game modes. First released on March 2017, God of War 2 receive many positive responds around the world. The gameplay is very similar to the previous installment, and focuses on combo-based combat. God of War II also features puzzles and platform while there are many bosses rather than the original. Besides released in PlayStation 2, God of War 2 also available in PlayStation 3 since 2009 and PS Vita since 2014. Until now, God of War 2 has received many awards and accolades. Most of all, God of War 2 also claimed as one the best and most popular PS2 games of all time. God of War 2 plot centered on Kratos as player characters. This game also based on Greek mythology and set in Ancient Greece. Action-adventure and hack-and-slash become its main genres and become popular among gamers. Like other games, God of War 2 also have several cheats and secret codes that can be used to create spesicif effects. God of War 2 cheats can be used to unlock costumes and weapons or even game modes. Below are several God of War 2 cheats, codes and secrets for PS2. Hydra Armor – Complete the game on any difficulty. Costume 1 – Complete the game on any difficulty. Costume 2 – Complete the game on any difficulty. Costume 3 – Complete the game on God Mode. Costume 4 – Complete the game on Titan mode. Costume 5 – Complete the game on Titan mode. Costume 6 – Collect 20 Cyclops Eyes in the main game. Costume 7 – Receive the God ranking in Challenge mode. Press L1, L2, L3, Circle and Square simultaneously, input those codes any time before ‘Sony Computer Entertainment Presents’ appear in screen. The letters on that screen will turn purple if done correctly. To Start a new game with all weapons at the levels you completed the game at, simply save your game and start a new game. Choose the Bonus Play option and you can start a new game with all your weapons at the levels you beat the game with. You can only choose the Bonus Play option on the difficulty you’ve beaten the game on. They will be marked by a sword on the New Game screen. Titan Mode – Complete the game to unlock this harder difficulty. As one of the best PS2 games, God of War 2 is very popular among gamers all around the world. For you that find it difficult to finish this game, hopefully the cheats and codes above can help you to complete the game faster and easier. Maybe you know about other God of War 2 cheats or other codes, walkthrough and guide? Please tell us in comment section below.